Career changes can occur at any age and stage in life, and one Rocky Mountain College senior illustrates that point full well. Thirty-nine-year-old Edward Tanzosh — often known as “Eddie” — is a nontraditional student who’s transitioned from Army veteran to Alaskan police officer to published children’s book illustrator. He will graduate in the spring of 2019, and he’ll likely have published two children’s books before he’s handed his bachelor of arts degree. Tanzosh’s debut as children’s book illustrator is not an Ed the Red book, however. 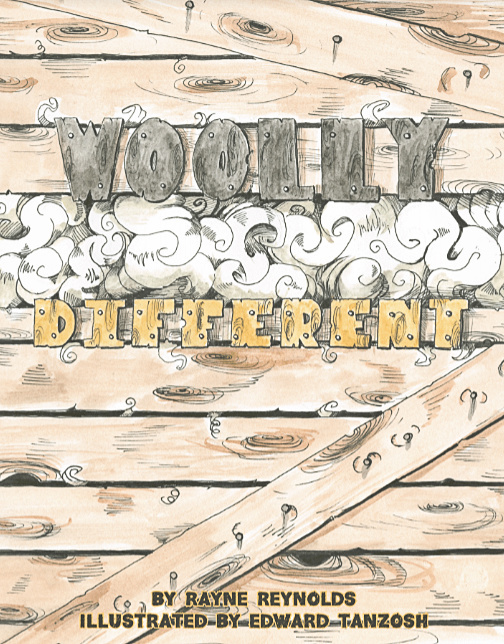 “Woolly Different” is a picture book written by his friend Rayne Reynolds and published by their joint company, Frozen Oak Farms Publishing. It’s about a pig with thick, curly hair and it’s geared to children up to 9 years old. “A Mangalitsa pig,” Tanzosh said, “is a Slavic-area pig that is as woolly as a sheep, which is what sets him apart,” and it’s the type of pig raised on Reynolds’ farm in Alaska. 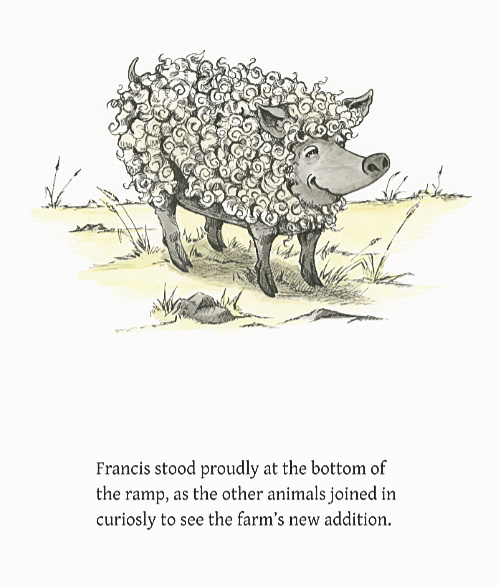 In “Woolly Different,” one such pig named Francis is brought to a farm and “told by the farmer that he is special, but the conventional animals think otherwise. He spends the story being shown how everyone, in their own way, is special, and he must figure this out for himself, and does, by the end of the story,” Tanzosh said. Before he illustrates another book for his friend, however, Tanzosh plans to publish his own children’s book — one he’s already written and illustrated — called “Mallory’s Allergies and other Zootastrophies,” inspired by his 8-year-old daughter’s dairy allergy. Tanzosh works as a full-time admissions counselor at RMC while finishing his college classes. “I really like working with students and helping them navigate decisions in pursuing college,” Tanzosh said. Counseling high school teens considering RMC may remind Tanzosh of his own career path, which began 22 years ago. “I entered into the military right out of high school,” Tanzosh said. “I was only seventeen when I graduated, so I had to have my parents sign me into the Army because I was not my own legal guardian yet. I spent eight years as a military police officer and deployed several times. My longest and last [deployment] was to Afghanistan during Operation Enduring Freedom, 2004-2005,” he continued. After he left the military, Tanzosh worked for the Anchorage Police Department in Alaska as an instructor and SWAT team member. Nine years later, he and his wife, Amberly — RMC’s campus safety coordinator — and their two kids moved to Montana. Tanzosh worked for the Highway Patrol in Billings as a trooper for one year before enrolling at RMC as a full-time art major, while he wrote and illustrated children’s books on the side. “Woolly Different” will be for sale on Instagram and Facebook, and at This House of Books in downtown Billings this fall. You can follow Tanzosh’s career and see more of his artwork at www.edwardtanzosh.com.